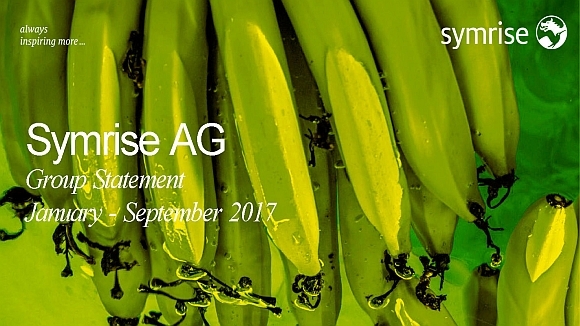 Symrise continues growth – third quarter sales increase of 6.5 % – Symrise AG accelerated its growth course in the third quarter, achieving overall a considerable increase in sales and earnings for the nine-month period. This positive trend was driven by strong demand across all segments. Symrise increased its sales organically by 6.5 % in the first nine months of the year. Organic growth was particularly dynamic in the third quarter with a plus of 9.1 %. Taking into account portfolio and exchange rate effects, sales in the first nine months of the year were up 3.9 % to € 2,278.4 million (9M 2016: € 2,192.3 million). Earnings before interest, taxes, depreciation and amortization (EBITDA) amounted to € 485.2 million (EBITDAN 9M 2016: € 480.3 million). With an EBITDA margin of 21.3 %, profitability remained high (EBITDAN margin 9M 2016: 21.9 %). Symrise achieved strong organic sales growth of 6.5 % in the period from January to September, including a 9.1 % increase in the third quarter. Considering portfolio effects – namely the sale of the industrial activities of Pinova in December 2016 and the Nutraceutix and Cobell acquisitions – as well as exchange rate effects sales were up 3.9 % to € 2,278.4 million (9M 2016: € 2,192.3 million). Third quarter sales were impacted by an unfavorable exchange rate environment, especially the devaluation of the US dollar against the euro. Symrise continued to operate highly profitable in the first nine months of the year. Earnings before interest, taxes, depreciation and amortization (EBITDA) rose by 1.0 % to € 485.2 million (EBITDAN 9M 2016: € 480.3 million). The Group’s EBITDA margin was a very satisfactory 21.3 % and was thus within the targeted mid-term corridor of 19 to 22 % (EBITDAN margin 9M 2016: 21.9 %). Scent & Care posted a 3.3 % organic sales increase in the first nine months of the year. In the third quarter, organic growth reached even 7.7 %. Taking into account the sale of Pinova Inc., sales in the segment amounted to € 960.1 million; as expected they were 3.7 % lower than in the first nine months of 2016 (9M 2016: € 997.2 million). The strongest growth in the segment was achieved by the Cosmetic Ingredients division. Demand was especially high in the regions EAME and Asia/Pacific. Sales were up significantly in the national markets of Germany and Italy as well as China and South Korea. Adjusted for the Pinova portfolio effect, the Aroma Molecules division posted moderate growth. Positive signals mainly came from the national markets in the USA, Indonesia, Japan and China. The integration of the Pinova fragrance business continued to strengthen the division through a broader portfolio of unique, natural ingredients. 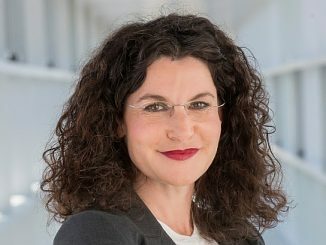 The Fragrance division achieved moderate growth in the first nine months of the year, with good growth momentum in the third quarter. Very positive business performance was recorded amongst others in the country markets UK, the Philippines, Argentina and Mexico. customers, especially in the national markets of Columbia and Mexico. The application area of Beauty Care saw increased demand in the third quarter, however it was unable to match the strong results of the first nine months of the previous year. Oral Care applications experienced moderate global growth in the period from January to September. Sales increased above all in EAME and North America. In the Asia/Pacific region and Latin America, products for oral hygiene lagged behind as compared to the prioryear period. 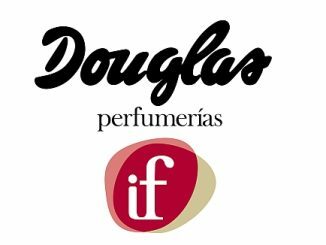 The Fine Fragrance business unit achieved dynamic growth especially in Latin America, with double-digit increases in sales in Brazil and Argentina in local currency. In addition, business was further extended in the Asia/Pacific region in Indonesia and India. EBITDA in the Scent & Care segment amounted to € 196.2 million in the first nine months of the year (EBITDAN 9M 2016: € 203.6 million). The EBITDA margin, at 20.4 %, was equal to the normalized level of the first nine months of the previous year. In the third quarter, the margin improved noticeably as compared with the normalized figure for the same period a year earlier due to stronger demand. It stood at 21.1 % compared to 19.3 % in the third quarter of 2016. The Flavor segment, which includes taste applications, achieved organic growth of 10.0 % in the first nine months. In the third quarter it reached even 12.7 % growth. 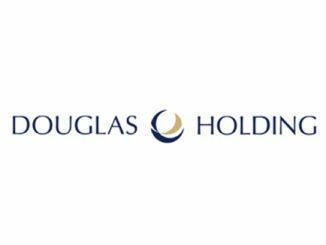 Considering exchange rate effects and the Cobell acquisition, the segment reported a sales plus of 8.6 % to € 842.6 million (9M 2016: € 775.9 million). The EAME region was once again the growth driver of the segment, with organic growth rates in the double digits. Important contributions mainly came from the Sweet and Savory business units in Western Europe and North Africa. The Beverages application area showed solid growth in particular in the Middle East, Germany and Austria. In the Asia/Pacific region the sales trend was less dynamic due to the strong results in the previous year. Healthy growth momentum came above all from applications for sweet and savory products in Japan, Vietnam and the Philippines. The Latin America region continued to perform very well and achieved double-digit growth rates. Growth was particularly strong in the Beverages business unit as a result of new business with vanilla flavorings. The Brazilian market, however, was not quite able to continue the dynamic growth trend of the previous year. In the North America region, Symrise moved ahead with the successful expansion of its existing business and achieved healthy increases in all application areas. EBITDA in the Flavor segment amounted to € 183.4 million in the first nine months. This equals a plus of € 3.8 million or 2.1 % compared to the prior-year period (9M 2016: € 179.6 million). The EBITDA margin, at 21.8 %, was slightly lower (9M 2016: 23.1 %), mainly due to higher research and development expenditures and the consolidation of Cobell as of 1 July 2017. The Nutrition segment, which includes the Diana division with applications for food, pet food and baby food as well as probiotics, achieved an organic growth of 7.8 % in the first nine months. In the third quarter, organic sales growth amounted to 5.8 %. Considering portfolio and exchange rate effects, the segment had a 13.5 % increase in sales in the first nine months to € 475.7 million (9M 2016: € 419.2 million). The strongest contributions came from the Pet Food business unit, which posted high single-digit or even double-digit local currency sales increases in all four regions. The Food applications area also performed well and achieved significant sales increases, showing particularly expansive trends in the Latin America and Asia/Pacific regions. In the Probiotics business unit, sales also increased substantially through the acquisition of the US company Nutraceutix. Adjusted for the acquisition effect, the business unit showed a high single-digit increase in sales after the first nine months. Due to a temporary destocking by a major customer, growth was lower in the third quarter. During the reporting period, the Nutrition segment increased its EBITDA by 8.7 % to € 105.6 million (9M 2016: € 97.1 million). Despite expenditures due to the capacity expansion of Diana Foods in the USA and regional expansion of the Pet Food footprint, the EBITDA margin remained high, at a level of 22.2 % (9M 2016: 23.2 %). Symrise confirms its growth and profitability targets for the current fiscal year. The Group foresees to significantly outperform the relevant market in 2017, which is projected to grow at a rate of about 3 %. The company aims to operate highly profitable and achieve an EBITDA margin of over 20 % in 2017. Numerous investment projects have been initiated to further enhance the Symrise innovative strength and to expand capacities in order to support organic growth in particular. The medium-term targets set through to the end of the fiscal year 2020 remain fully intact, including a compound annual growth rate (CAGR) in the 5-7 % range and an EBITDA margin between 19 and 22 %.